Yoga is the best medicine you can give your body, I swear by this. Here’s my explanation as to why it is. I wanted to talk about this because it is #MotivationalMonday but also #MindfulMondayWithSay. 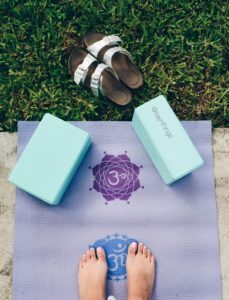 So today on how to be mindful let’s talk about something really important to me which I believe everyone should implement in their life because it will make your mind, heart, body and soul happy which is what everyone needs and that thing is yoga. I got into yoga back in the beginning of high school and I can tell you I honestly hated it and its beautiful because I totally understand why now. Back then when I did it I was just looking for a workout, I wasn’t appreciating what yoga really was/is. I would be in the poses and trying to rush it and not really take into consideration how I should be positioned or what muscles I should be using. It didn’t matter how hard I tried because “it’s just yoga,” that’s what I would tell myself. Now growing up and realizing the benefits physically and mentally, I think yoga is the best thing you can do for yourself. 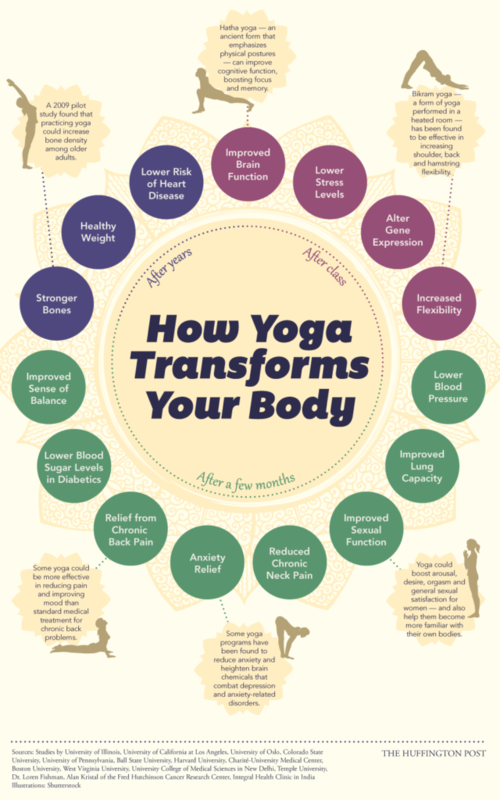 So first here’s a quick list of some benefits yoga will do for you and then I’ll continue. It helps with your concentration. It helps with your anxiety and stress. It can be used as a weight loss tool or manager. It helps you understand yourself better. It helps with any back problems. Reduces asthma, heart disease and insomnia problems. The list goes on and on, so I found this cute diagram to help explain more as well. Picture provided by The Huffington Post. There is something I want to discuss which is the stigma in the yoga world that all yoga is thin girls doing headstands. First of all, Yoga is for everyone and anyone, no matter your size, shape, religion, it doesn’t matter. So please don’t ever feel intimidated by the fluff or femininity of it, #GuysDoYogaToo. Next, yoga is so much more than a darn headstand it’s deeper and more personal and passionate. It’s a thing to do to connect to you and to bring you back to center. So don’t get discouraged when you can’t do certain poses or you can’t bend in certain ways, listen to your body and allow it to move and grow at the pace you need. Actually, just doing a few simple moves means you’re already starting! You’re doing yoga! I have a few apps downloaded that show almost all the moves. You guys can download them and pick and try some out, just play around with it! Disclaimer: These women are amazing and may potentially change your life. If you want to get started, great! How? Where? Good questions. Well, yoga can be suuuuper expensive sometimes, but I’m here to the rescue! I know a bunch of free places where you can explore your inner yogi. Comment below if you want to know and I will give you all the info I have, I’m excited to share! Remember, this is all in the Miami area. I hope you guys found this post informative and motivating, because thats always the goal. Now go out and tackle your Monday! There’s so much focus now on wellbeing and self love and mindfulness and yoga as well I must admit that I’ve always been intimidated by yoga the girls always seem so flexible and I am anything but that lol. Hi! I’m proud to nominate you for the Liebster Award! Please follow the link if you would like to accept your nomination.